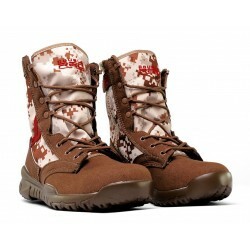 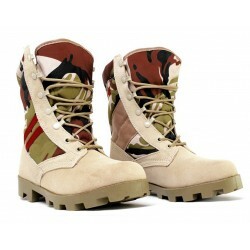 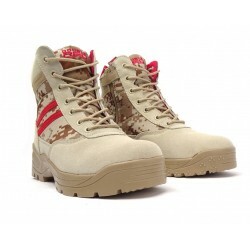 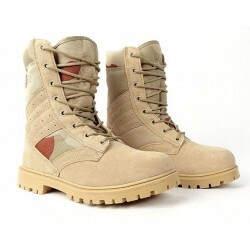 Military style boots "CAMEL#RED DESERT" . 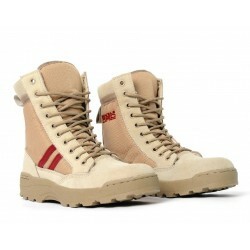 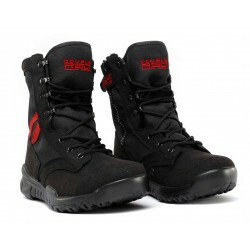 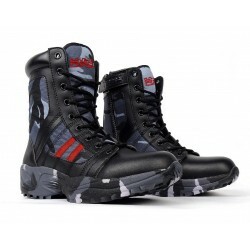 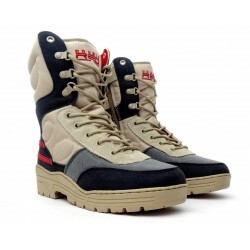 Hardy resistant boots with embroided logos from edition RED DESERT. 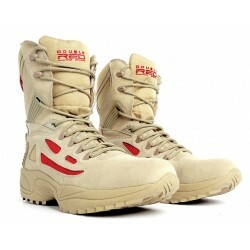 Made of slight breathable materials, softened sole from PU is flexible what provides high comfort during driving. 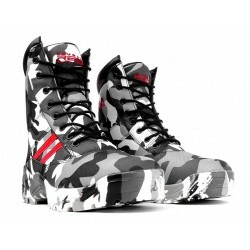 Design by DOUBLE RED Clothing Co.